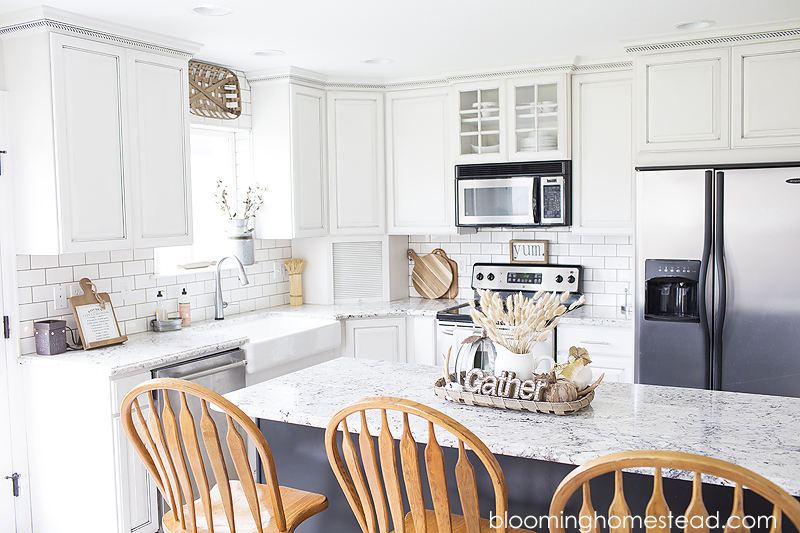 Remember part 1 of our kitchen makeover? 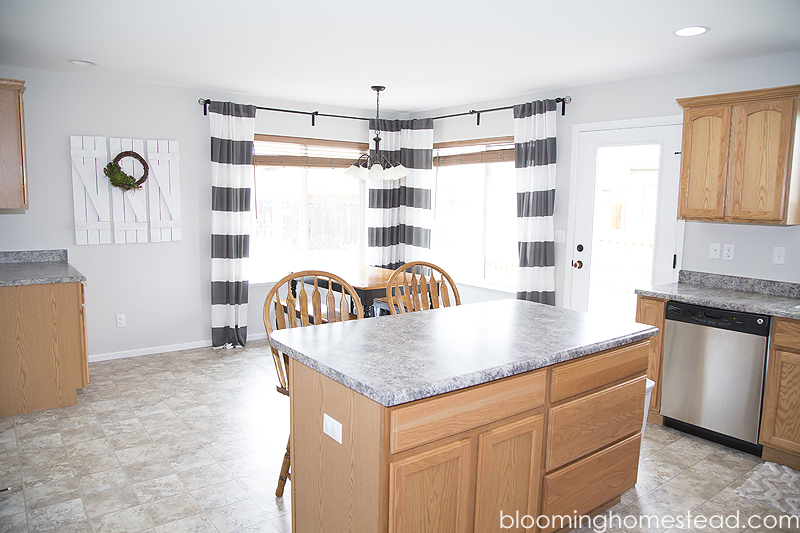 This past year we have been working to update our kitchen space and today I am sharing our latest addition. 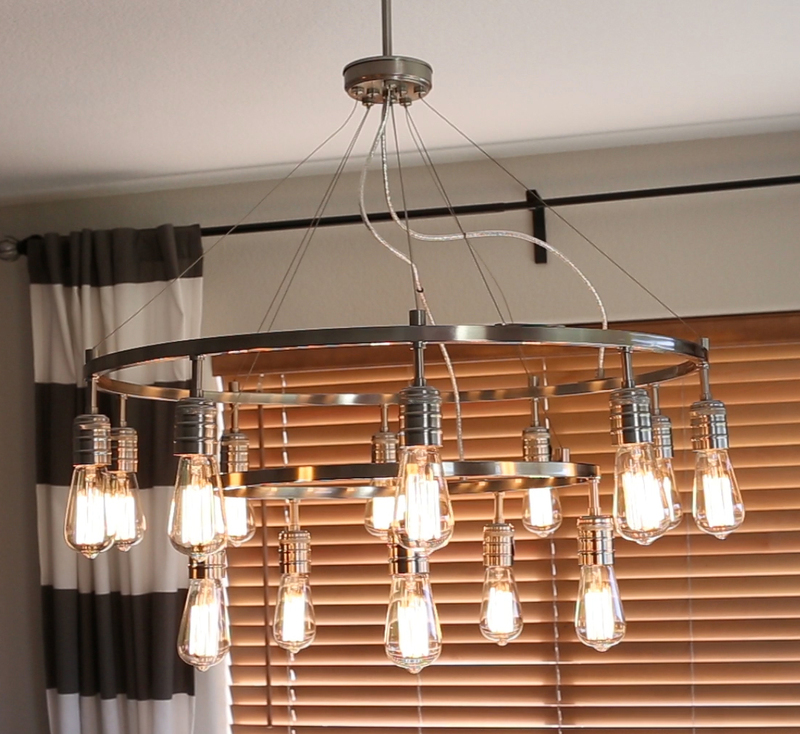 Our new light fixture! Here is the listing photo showing how the kitchen nook looked before we moved in. Right after we moved in we had the ceiling and walls painted to break up the yellow/beige look. Just painting the walls made a big difference. 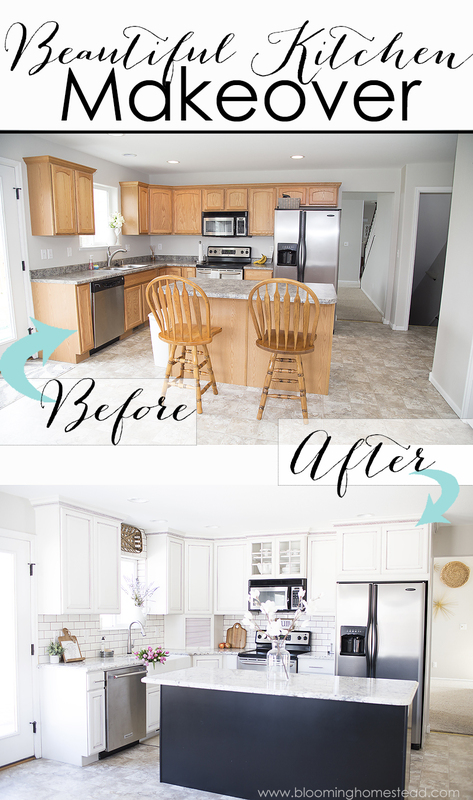 The next step in our process was to update the cabinets and countertops. 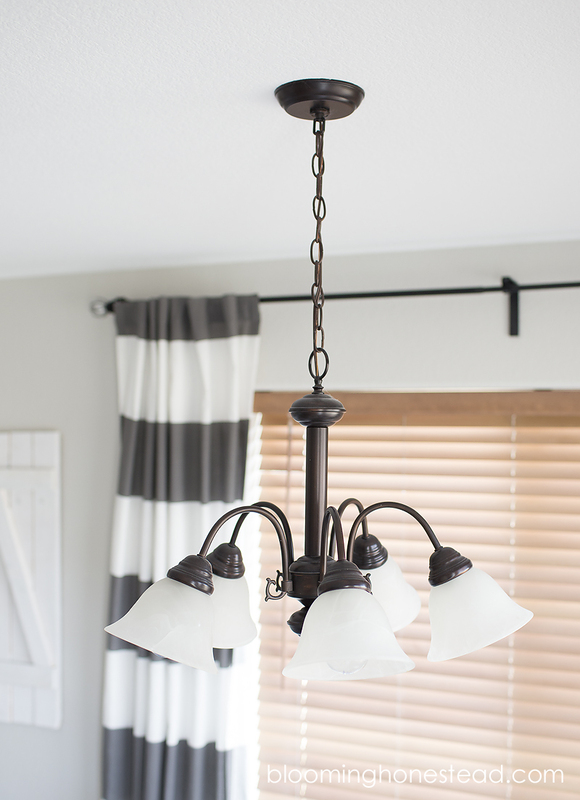 These few changes have made all the difference, but I’ve still been eager to update the light fixture hanging over our kitchen table. Although there is nothing particularly wrong with it, it didn’t quite capture the look I was going for. 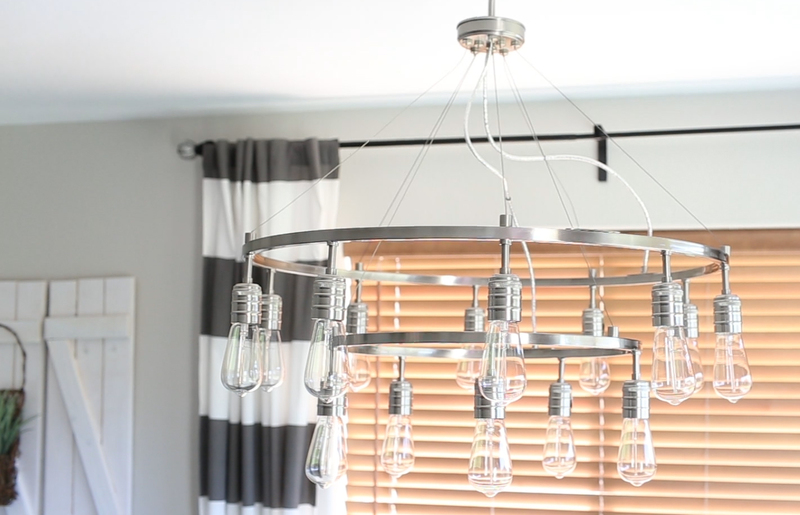 When I was contacted by Bellacor to update a light fixture in my home from the Mill & Mason Line, I fell in love with this brushed nickel fixture. 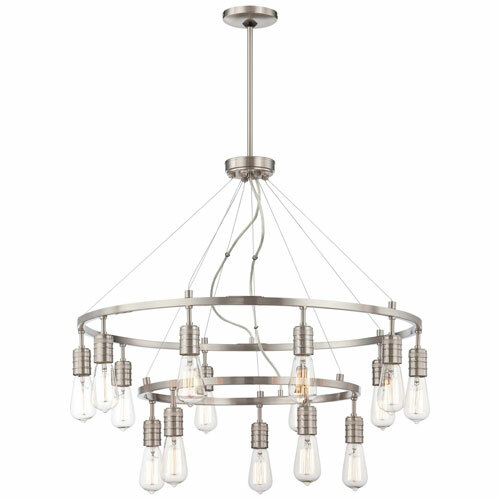 Bellacor has a ton of great lighting options in all different styles that fit with any decor scheme. 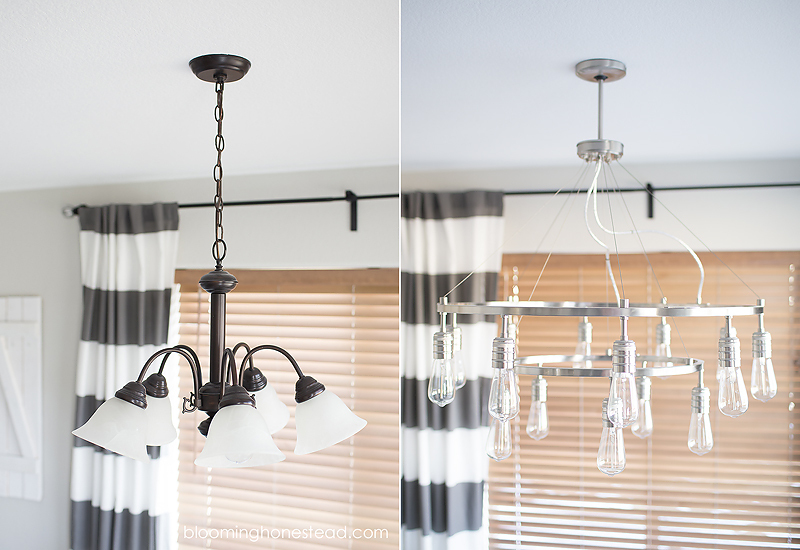 We had a tough time choosing which fixture we liked best because there were so many we loved. 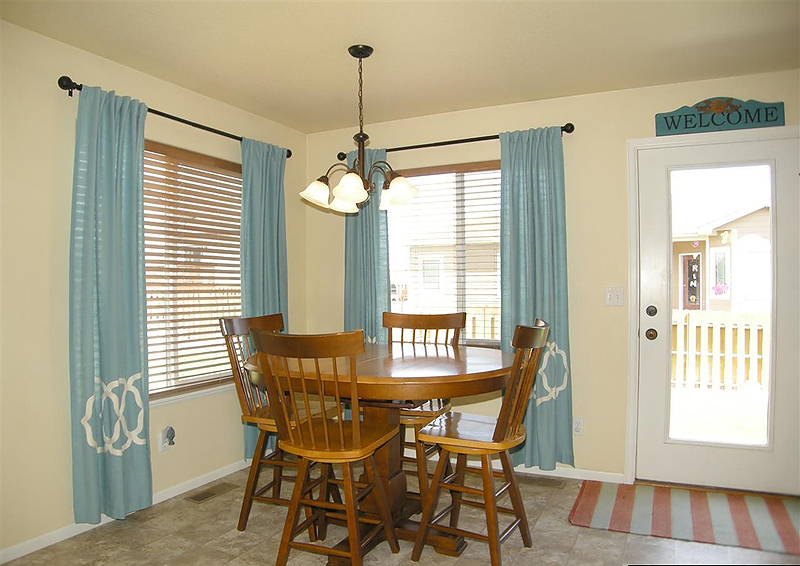 Ultimately we decided on this one because it fit the space perfectly and I loved the slightly modern flair it brought. Bellacor also carries furniture and home accents too! 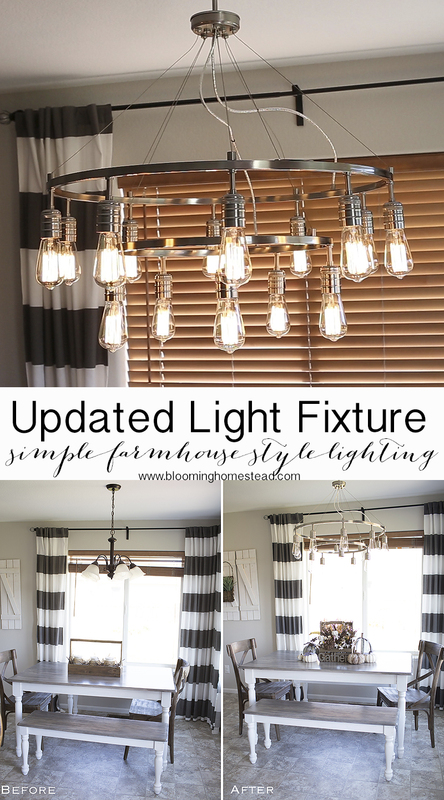 We are loving the look of the new fixture and if we could update a light fixture then anyone can! Next up will be new flooring! 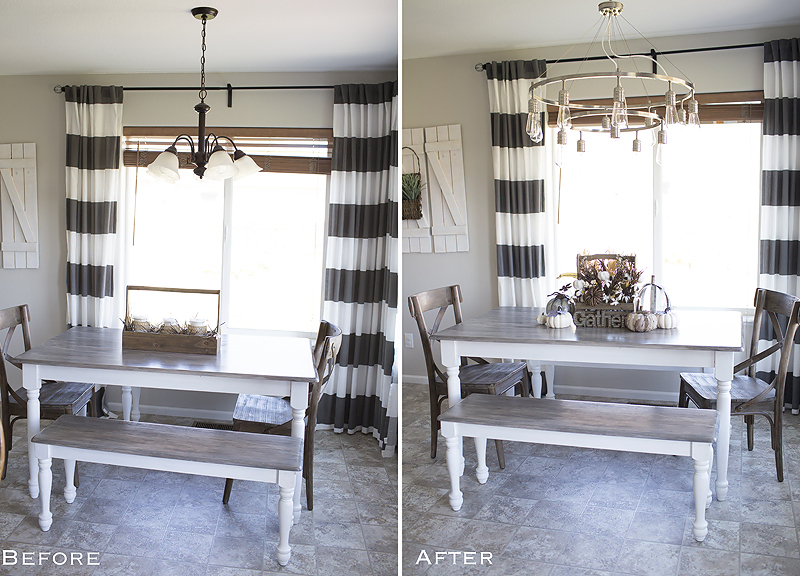 To see part one of our kitchen makeover you can go here. We partnered with Bellacor for this project.